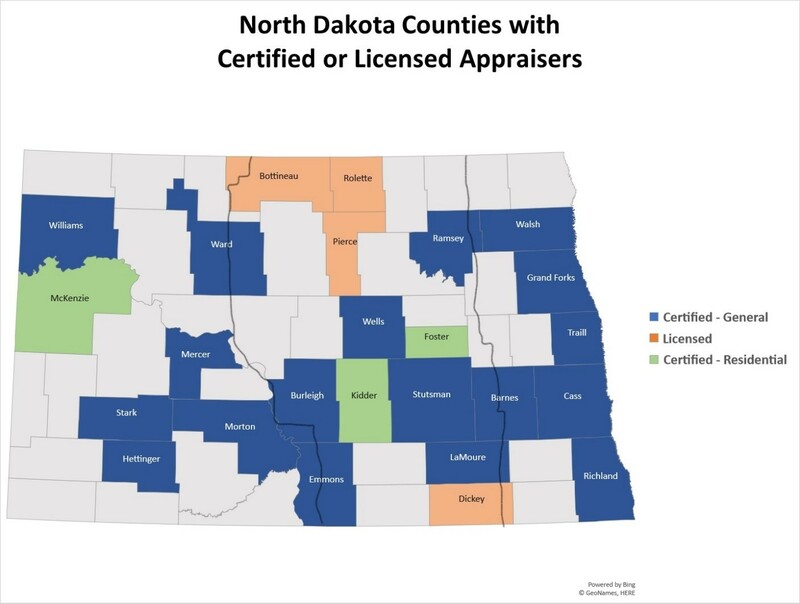 North Dakota provided more data and information last week to the Federal Financial Institutions Examination Council’s Appraisal Subcommittee bolstering its request for a federal real estate requirements waiver that would allow local financial institutions to utilize appraisals conducted by independent parties that are not credentialed appraisers. The state filed its initial request in August to address the state’s appraiser shortage, which it said is negatively impacting rural communities. It is the first state to make use of the temporary waiver request, which has been available since 1989. North Dakota’s Governor Doug Burgum, State Commissioner for the Department of Financial Institutions Lise Kruse, and the North Dakota Bankers Association jointly asked for the waiver, which they said would help rural banks and their communities by improving the timeliness and costs of real estate transactions. The state specifically asked for a waiver of appraisal licensing requirements for federally related real estate mortgage loans issued by banks or credit unions that are less than $1 million for business and agriculture loans or $500,000 for residential transactions. The current limits are $500,000 and $250,000, respectively. The Appraisal Subcommittee in turn asked for clarification and additional information. North Dakota’s letter this week demonstrated the scarcity of appraisers in the state and the significant delays that causes and established that the request is within the Appraisal Subcommittee statutory authority. There are 53 counties in North Dakota. Of these, 29 (55%) do not have a single appraiser residing in the county. Four counties do not have certified appraisers, although one or more licensed appraisers reside within these counties. If a waiver is granted, the licensed appraisers could be available to conduct more complex appraisals that normally would require a certified appraiser.